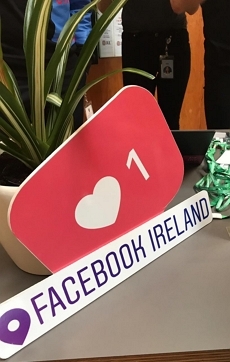 On the third day of our study trip to Dublin we visited Facebook, LIKE! Nowadays, everyone knows the company and uses one of their apps at least once a day but we were curious how life is at the other side of the platform. We got a warm welcome from Dries Smet, a Vlerick alumnus of 2018. He now holds the position of Account Manager Belgium Luxembourg in Facebook. He showed us around the colourful office which gave us the impression that Facebook has a very open culture with a lot of diversity. After a small introduction, we got into the core of Facebook as a marketing platform where people can not only share ideas, but also promote them. Dries Smet highlighted the four drivers that make an idea great: curation, community, conversation and commerce. Facebook plays a crucial role in each of these drivers and that makes it such a strong company. Modern generations know Facebook mostly for sharing pictures and events, but it is of great importance for businesses, big and small, to reach and activate a wider audience. Did you know that there are around 10 billion C2B messages each day? 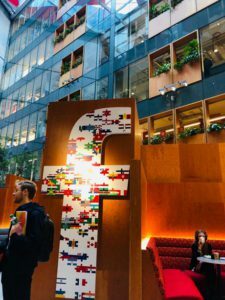 The visit gave us the great insight in the future for businesses at Facebook. 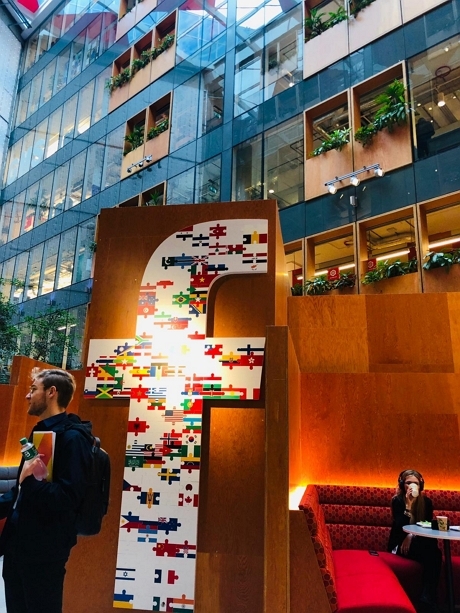 Our previous classes of digital marketing skills during the year showed us already a heads up on the SEO and SEM of Google, but during the visit at Facebook, we understood the value of social media for businesses. Next up was the talent scout Niamh Cusack. She gave us some great tips and tricks if we ever wanted to work for Facebook. They look for people with innovative mindsets who fit into a company that promotes diversity. Employees need to be open, bold and ambitious. If employees have these values, then Facebook will most certainly like them. To finish our visit, Hashim Syed, who is account manager for the UK and Ireland, talked about his path at Facebook and he shared with us how an average week looks like for him. So we saw his ping pong tournaments during working hours combined with some meetings with colleagues about new clients. (This is how everyone’s schedule should look like, if you ask us 😉 ) “San-Francisco is like Disneyland” was Hashims quote of the day. Apparently Facebook flies you there in the first 4 weeks you work with them. They showed us what it looks like and we must admit, it looks a pretty amazing HQ! last but not least, life is too short to not have fun at work. 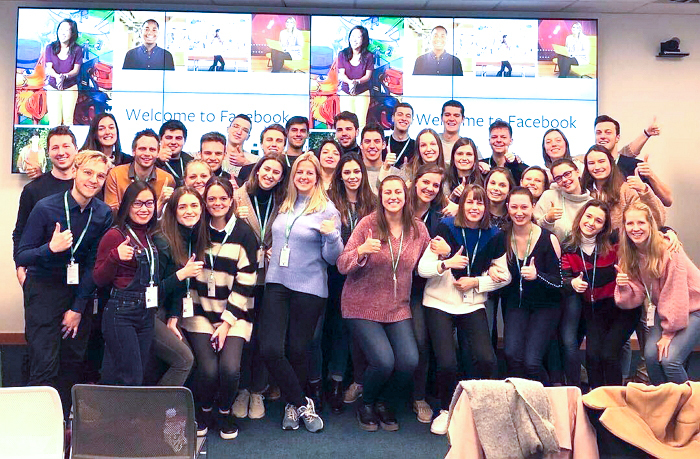 All M3 students want to give their thumbs up for the memorable experience at Facebook and want to thank them for all the snacks and drinks they provided us with!